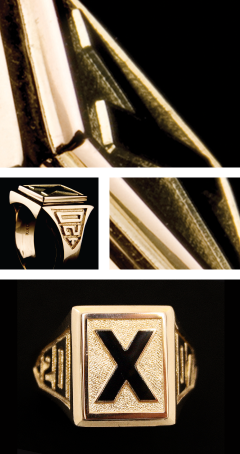 If you have an inquiry regarding X Ring Eligibility, requesting your Eligibility Form, purchasing, resubmitting or replacing an X Ring, please email at Dec03xring@stfx.ca. If you are enrolled in a Masters or Distance program of study and will become eligible during this academic year, ensure to confirm your eligibility prior to September 15th as order restrictions do apply for participation in the X Ring Ceremony on December 3rd. Confirmation of eligibility may take several days to process. Any nominations for an honorary X-Ring may be submitted to the Chair of the X-Ring Committee at su_pres@stfx.ca by September 30. The University is proud to sell the X-Ring at The X-Ring Store. Additionally, the X-Ring may be purchased locally at Cameron’s Jewellery, Ltd, an authorized supplier. Eligibility forms must be presented prior to making your purchase. Special arrangements for forwarding Eligibility Forms or confirming eligibility can be arranged through the contact above.